The history of essential oils is as long as it is varied. 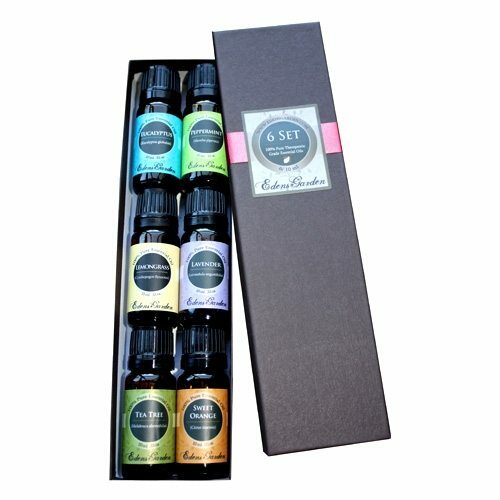 Originating many centuries ago, essential oils have been used by numerous cultures for purposes such as healing the sick; during religious ceremonies, and even as first aid for soldiers in combat. Essential oils are typically extracted from plant tissue, flowers, leaves, or bark. Of course, this is a completely natural manufacturing process. The benefit of this is that (in most cases) no artificial substances (e.g. additives or chemicals) have been used – all natural properties of the plant have been maintained. This is a refreshingly welcome shift from the prescription-laden healthcare we’ve become accustomed to. One area of research gaining ground is the use of essential oils for mental health purposes. The practice of aromatherapy, for example, has been shown in many studies to improve conditions such as Post-Traumatic Stress Disorder (PTSD), depression, anxiety and others. 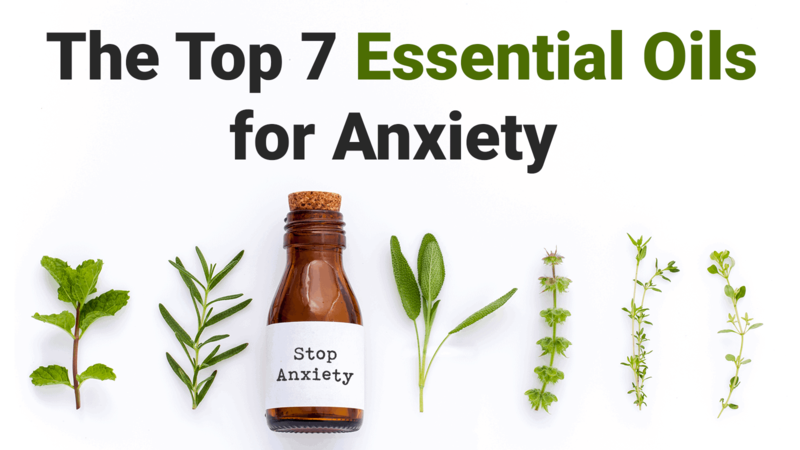 This article focuses on the best essential oils for anxiety relief. In a fascinating study published by the US National Library of Medicine, researchers concluded that the essential oil Bergamot reduced the corticosterone levels of rats; thereby leading the researchers to deduce the presence of lower stress and anxiety levels. In addition to reducing anxiety, Bergamot has been demonstrated to potentially reduce depression, treat insomnia, and induce relaxation. It is common for individuals that consume Bergamot (in tea) test for reduced blood pressure and pulse rate. Bergamot is most commonly found in Earl Grey tea. It is considered very safe. Chamomile is perhaps best known for having an extremely calming aromatic effect. Many who prefer this oil for aromatherapy proclaim lower levels of anxiety, irritation and worry. Chamomile is considered safe, sans a small minority that may experience an allergic reaction. Lavender is perhaps the most common essential oil in use today. It has an extremely pleasant aroma that is effective for: reducing stress, promoting sleep, reducing irritability, settling the stomach, and more. Like other oils on this list, clinical trials have continually reaffirmed the benefits of lavender – particularly as an anti-anxiety and anti-depressant agent. These studies have been conducted under a wide-range of provocative conditions; from patients prepared to undergo surgery, to moviegoers watching an anxiety-inducing movie. Frankincense is thought to be one of the more tranquil and calming oils – a powerful agent for the treatment of depression and anxiety (see a trend here?). The peaceful aroma of frankincense has resulted in it being used for aiding meditation. Rose is perhaps the second most commonly-used oil for alleviating anxiety (besides lavender). It is reported to be effective for some of the most extreme cases of anxiety, such as panic attacks and sudden shock. Similar to rose, vetiver possesses a tranquil and pleasant aroma. It is considered a potent calming agent for the nervous system. Also like rose, vetiver has been utilized in several high-stress scenarios (e.g. panic attacks, shock) and is reportedly a very effective solution. In one study, vetiver was administered to male rats and their neuronal activity was subsequently tested. Researchers concluded that the sedative effects of vetiver resulted in decreased neuronal activity; likely due to the oil’s anxiolytic properties. Maybe the most difficult oil to pronounce on this list, Ylang Ylang is nonetheless very common. Those that use the oil for aromatherapy attest to experiencing feelings of optimism, joy, and relaxation. Uses for Ylang Ylang also extends to those with high blood pressure, heart palpitations (i.e., irregular heartbeat), and insomnia. Although Ylang Ylang is considered generally safe, it can provoke mild irritation of the skin. Those with hypotension (low blood pressure) should consult with a medical professional before experimenting with this oil.